The same day awaits us all today – but almost no one knows what this day will bring. Attorney General William Barr is openly talking about delivering the bullet points of the Robert Mueller report to Congress either today or tomorrow. And of course anything that goes to Congress, unless it’s locked down in a classified setting, will immediately be leaked to the public. So we could be looking at quite a day today. Or we could all spend today just like we spent yesterday: waiting to learn about Donald Trump’s crimes, and waiting to learn how much we’re going to learn about Donald Trump’s crimes. It’s tedious, and it’s unnerving if you let it get to you. But we’ve been waiting nearly two years for this report to be submitted, and now we’re all suddenly agitated that we’ve had to wait another two days to find out what’s in it. It’s something along the lines of spending six hours on an airplane waiting for it to land, and then suddenly getting antsy about having to wait another ten minutes to get off the plane once it’s landed. It’s paradoxical, but it’s understandable. The key in the meantime is not to take it out on ourselves, or take it out on each other. This report is a crucial moment in American history, but it’s important to remember that – as Palmer Report often likes to point out – no one on any side of this has a magic wand. 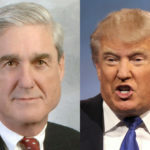 The Mueller report is the starting point for Donald Trump’s dismantling, which could happen rather rapidly. Everything is off to the races going forward, from the Congressional probes that’ll hit the ground running with this report, to whatever the federal prosecutors at places like SDNY have been waiting to do until the report was released, to how the media is going to use this report as a treasure map for fleshing out the rest of Trump’s scandals. What has us all so antsy right now is that we’re all waiting to find out what we’re about to be given to work with.